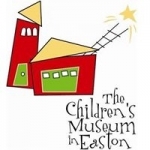 Join The Children’s Museum in Easton’s Science on the Go! educators to learn about the science behind the music with their Waves, Sound and Light program. See, feel and hear how sound and light waves are transferred with hands-on activities that put you center stage. Registration required. For ages 6-10. Capacity: 16 of 25 spaces available.